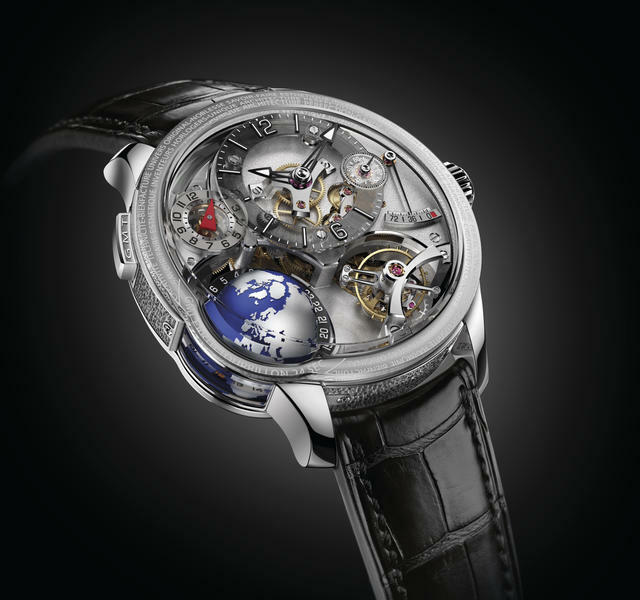 As they imagined the new Greubel Forsey GMT Earth, which debuts at SIHH 2018, Robert Greubel and Stephen Forsey wanted to fully expose the already impressive titanium globe found on the Greubel Forsey GMT models. After much deliberation and a host of calculations, the pair realized they’d need to radically change the original movement architecture in relation to the case shape and dimensions. In the end, they had to reconstruct the sapphire crystal, which for this company is just another Tuesday. 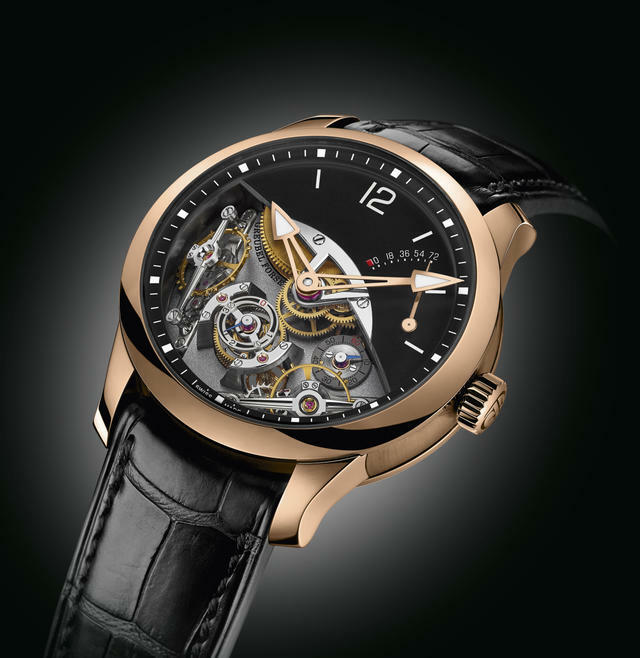 Greubel Forsey has mastered the art of sapphire structure design during its years of research, and this new GMT was just the firm’s latest challenge. Clearly, they were more than up to the task. To offer a comprehensive, three-dimensional view of the terrestrial globe, from the North to the South Poles, Greubel and Forsey re-configured the architecture of the timepiece. The globe, they reasoned, cannot be the only three-dimensional element in the timepiece. The resulting design treats multiple dimensions as a characteristic of each feature and at every level. The three-dimensionality first appears at the top of the dial, with the hour, minute and small seconds indications. Then you’ll see the triangular red hand of the GMT indication followed by the power reserve indication displayed by a long, thin hand. Finally, your eyes come to rest on the lowest part of the dial, which shows the globe alongside the Tourbillon 24 Secondes, Greubel Forsey’s third Invention. The GMT Earth provides a complete 360° view of Earth, from the North to the South Pole. It also enables a clear view of three time zones simultaneously, to within a quarter of an hour. Furthermore, on the movement side of the timepiece, 24 time zones are displayed – with the summer and winter times – to complement the universal time indicated by the terrestrial globe. 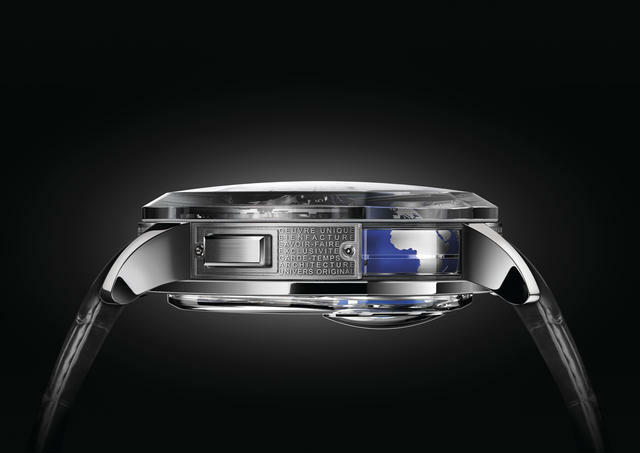 This white gold GMT Earth is limited to 33 pieces. 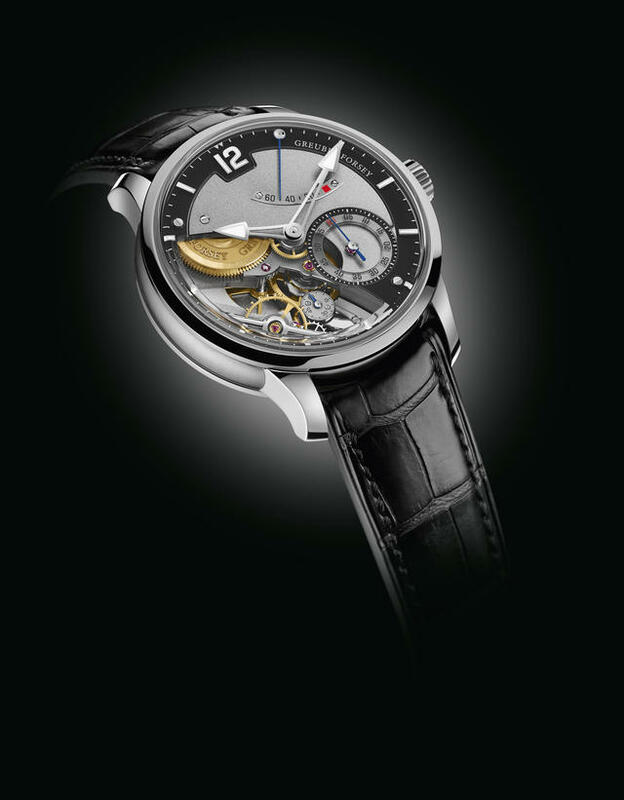 But Greubel Forsey has done much more than simply change the world at this year’s SIHH. 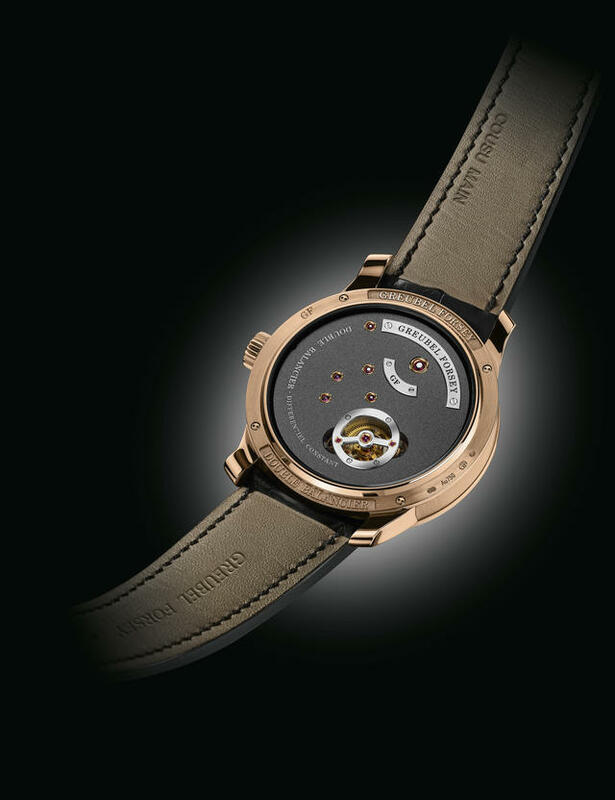 The firm also debuts its fifth Fundamental Invention called the Différentiel d’Égalité, featuring the brand’s first dead-beat second display. The wearer of this new piece will be able to watch this dead-beat in action via a large dial opening – a typical Greubel Forsey open design. 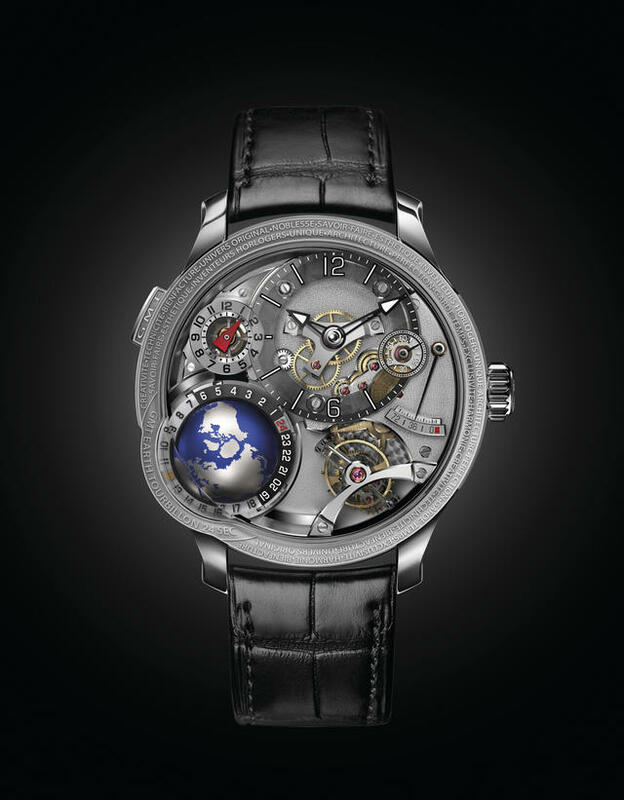 The dial side also has a high-domed sapphire crystal; the movement side shows the “stop/reset” mechanism and Robert Greubel and Stephen Forsey’s engraved inscriptions. 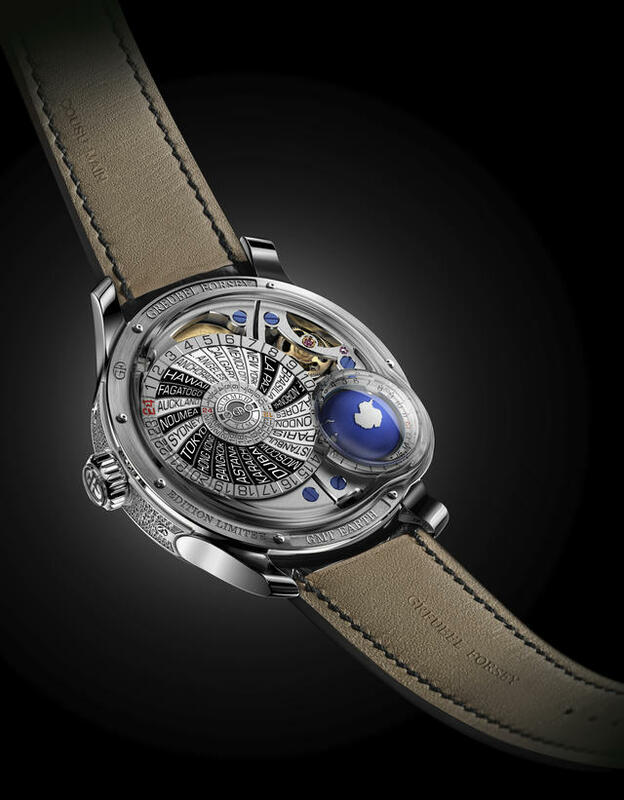 This white gold Différentiel d’Égalité is limited to 33 pieces. 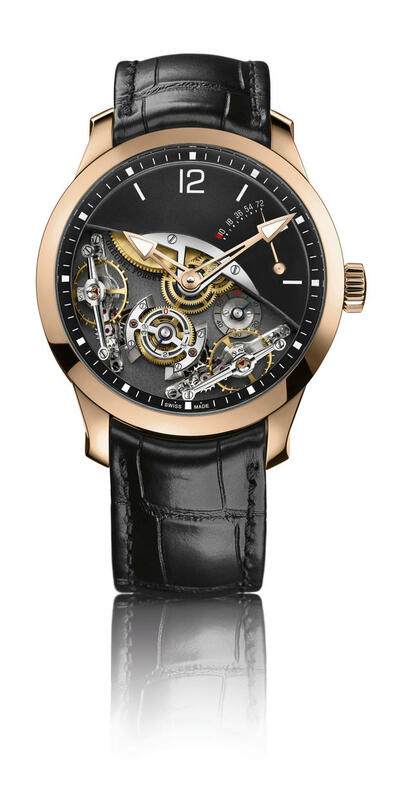 The new Double Balancier now gleams in 5N red gold with a black gold and enamel dial. 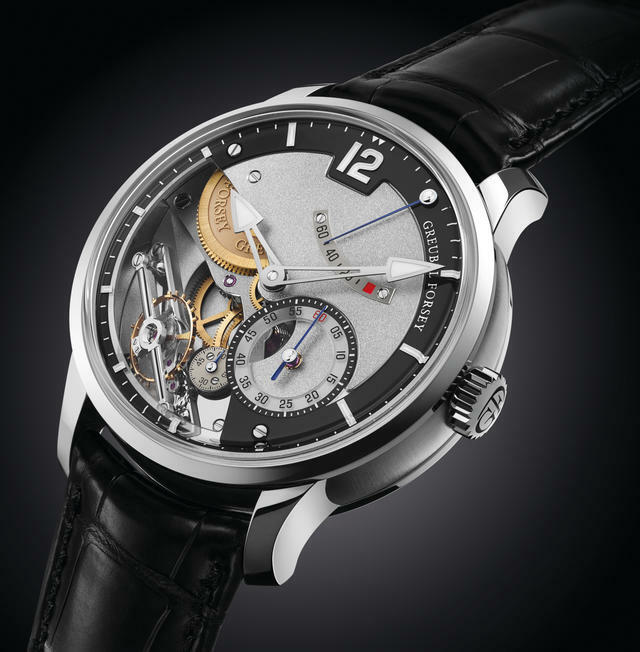 With this latest version, Robert Greubel and Stephen Forsey emphasize Double Balancier’s dramatic heart. The dial-side theater is set with a black gold dial, minute-circle numerals, hour markers and power reserve in champlevé grand feu enamel functions. 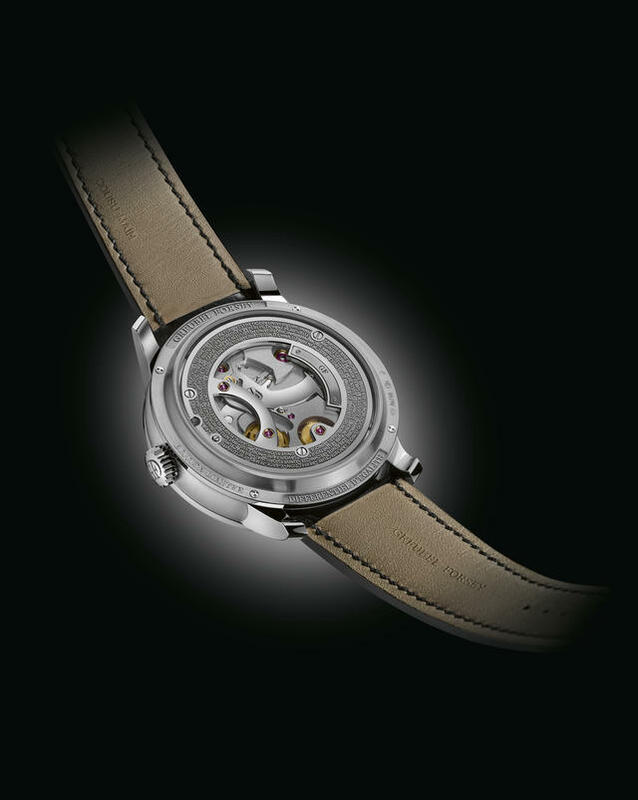 All this focuses attention on a timekeeping duet of the two balance wheels connected by the constant differential. An indicator, fitted to the differential, executes one complete turn in four minutes. We’ll update this post with additional details and prices about each of these new watches as we get them in days following the SIHH.